As of January 1, 2019, tens of thousands of books, cartoons, movies, and more published in 1923 entered the public domain. It’s a big deal. The Internet Archive held a party in San Francisco to celebrate. This coming year marks the first time in two decades that a large body of copyrighted works will lose their protected status — a shift that will have profound consequences for publishers and literary estates, which stand to lose both money and creative control. But it will also be a boon for readers, who will have more editions to choose from, and for writers and other artists who can create new works based on classic stories without getting hit with an intellectual property lawsuit. And many more, including works by Marcel Proust, Willa Cather, D. H. Lawrence, Joseph Conrad, Edith Wharton, P. G. Wodehouse, Rudyard Kipling, Katherine Mansfield, and Wallace Stevens. We can guess your next question: where can I download these titles for free? The aforementioned Internet Archive has already uploaded some 15,000 written works published in 1923. HathiTrust, a digital archiving project, has uploaded some 50,000 works published that year. And if you wait just a few months, perhaps even less, you can bet your bottom dollar plenty of publishers will be releasing their own redesigned and nicely packaged editions of all the famous works newly available in the Public Domain. That said, we’re kinda most excited about all the new mash-up possibilites. 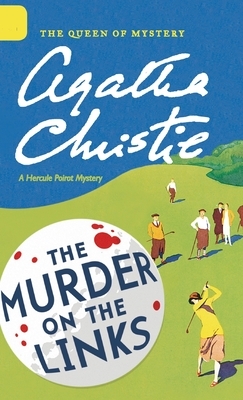 Perhaps a “new” Agatha Christie mystery set in Gibran’s Lebanon, where enterprising, aristocratic Brits, hoping to build a premiere golf course outside Orphalese, suddenly start dying off. Is a local, usually peaceful, activist sect of mystics–who seem to hold the secret to life–actually to blame? What mash-ups would you like to see? This was written by charles. Posted on Tuesday, January 8, 2019, at 11:04 am. Filed under Uncategorized. Tagged agatha christie, carl sandburg, D. H. Lawrence, edgar rice burroughs, Edith Wharton, Joseph Conrad, Katherine Mansfield, khalil gibran, Marcel Proust, murder on the links, NC Literary Hall of Fame, new hampshire, P. G. Wodehouse, Robert Frost, Rudyard Kipling, tarzan, the prophet, wallace stevens, Willa Cather. Bookmark the permalink. Follow comments here with the RSS feed. Both comments and trackbacks are currently closed.